Visit six family-run restaurants like the popular noodle shop, and more! In Hong Kong and looking to experience the city from a local's point of view? 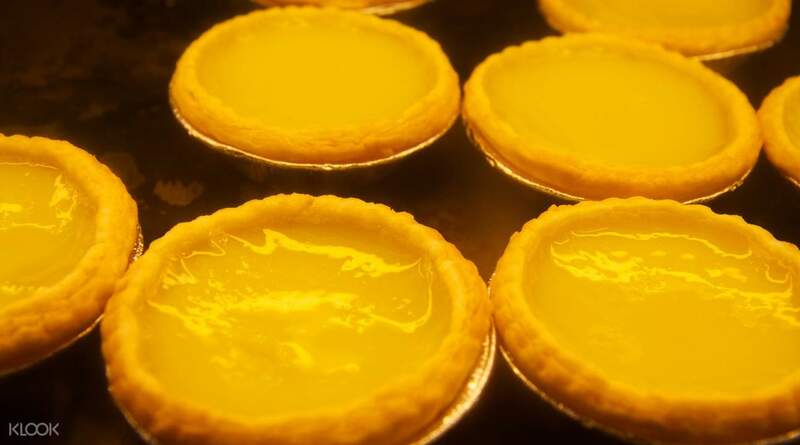 Look no further - go off the beaten path and discover some of Hong Kong's most popular food and drinks. With a guide, stroll around central Hong Kong and visit six handpicked family-run restaurants in the Central and Sheung Wan neighborhoods. Learn not only about the food, its history and preparation, but also about the city's culture. You'll even get a chance to see beautiful architecture that still remains standing, and on top of that: Hong Kong's oldest open market that unfortunately, won't be there much longer because of the city's redevelopment. Educational, satisfying, and fun, the tour is perfect for adventurous foodies who want to see the ins and outs of a city! 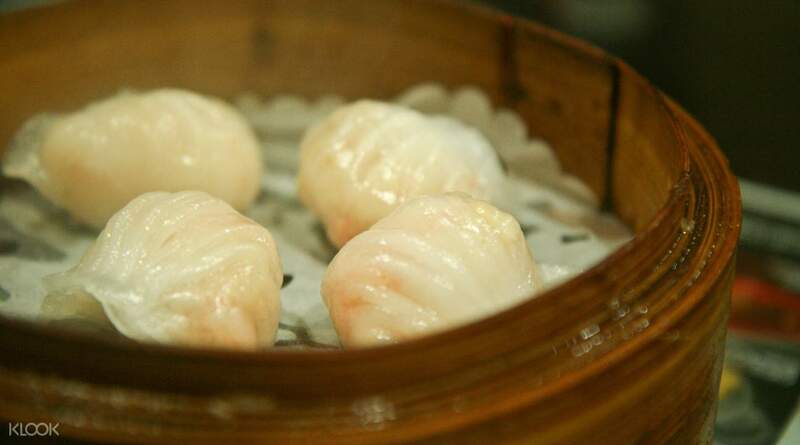 Enjoy dim sum, noodles, pastries and more while getting to learn about the neighborhoods you're strolling through! Got a good history and cultural overview of Hong Kong and it’s food places, with awesome local food. Ed (our guide) was also passionate and eager to share what he knew with us. All in all, a worth it experience if you’re in Hong Kong. Got a good history and cultural overview of Hong Kong and it’s food places, with awesome local food. Ed (our guide) was also passionate and eager to share what he knew with us. All in all, a worth it experience if you’re in Hong Kong. We had an amazing tour presented by Tammy. It was more than just a tasting tour. A great experience with a lot of history. Thank you! We had an amazing tour presented by Tammy. It was more than just a tasting tour. A great experience with a lot of history. Thank you! Nice way to explore Hong King central if you don’t have that much time. Guide was very polite and engaging. Nice way to explore Hong King central if you don’t have that much time. Guide was very polite and engaging. yummy!!! really good food tour! yummy!!! really good food tour! It was fun and useful. You can learn a lot about Hong Kong and also see the food making process and the kitchen. There are not so many sheep, so even six places can not be overwhelmed. 재미있고 유익했습니다. 홍콩에 대해서 여러가지로 배우고 음식 만드는 과정이나 주방도 구경할 수 있어요. 양이 그리 많이 나오지 않으니 6곳이라도 크게 무리가 없습니다. Hong Kong is recommended for the first and the first day. If you have visited a few times, or if you go to a few restaurants, the food may overlap. I was able to see not only food but also kitchen and making process, and it was good to see places such as temples and traditional markets. Drinks and desserts, but the composition of the food was poor for the price. And since all the explanations are written in English, I think that part should be prepared. 홍콩이 처음, 첫날이라면 추천할만합니다. 몇번 가보신 분이나 맛집을 몇군데 갔다면 음식이 겹칠수도 있어요. 음식 뿐 아니라 주방이나 만드는 과정도 볼 수 있었고, 사원이나 전통마켓 같은곳도 볼 수 있어서 좋았습니다. 음료나 디저트 등이 포함되어 있었으나 음식의 구성은 가격대비 빈약하다고 느꼈습니다. 그리고 모든 설명이 영어이므로 그 부분은 각오를 해야할듯합니다. It was good to be able to taste various foods. But I could not eat dim sum and was sorry. 여러가지 음식을 맛 볼 수 있어서 좋았습니다. 그런데 딤섬을 못 먹어 아쉬웠습니다.